The use of SMTP for the mail service of your Thelia website will ensure the properly delivered emails to your clients. This will also allow you to configure the mail service with a specific domain, which will make emails look more professional. Our SSD Thelia Hosting package allows you to create unlimited email accounts. We also have an excellent tutorial on how to manage cPanel email accounts. The first step of the process is to prepare the email account you will be using for the mail service on your website. If you do not have such an email account, you can simply create one via your cPanel account. You need to locate the Mail section and then Email Accounts. When you enter the details above, simply click on the Create Account button to proceed. 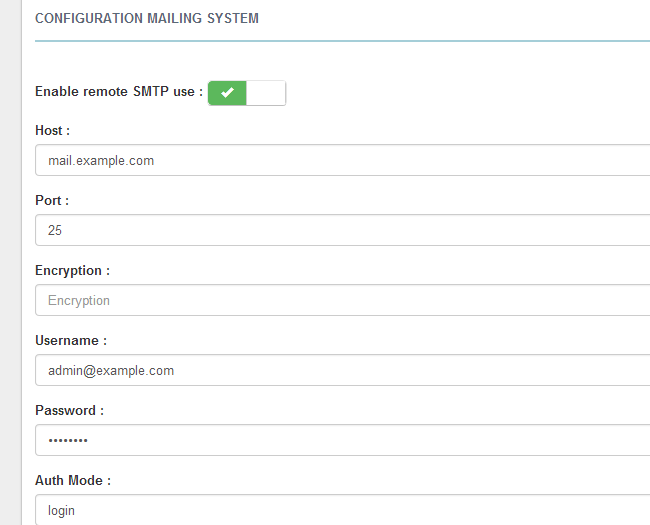 The next step is to configure your Thelia installation with SMTP. You need to access the administrative area of your website and then click on the Configuration button at the top menu. 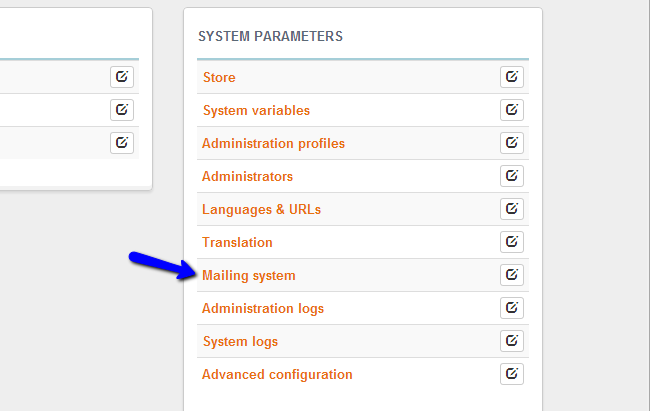 Locate the System Parameters tab and click on Mailing System. When you edit the details above, simply click on the Save button to keep the changes.